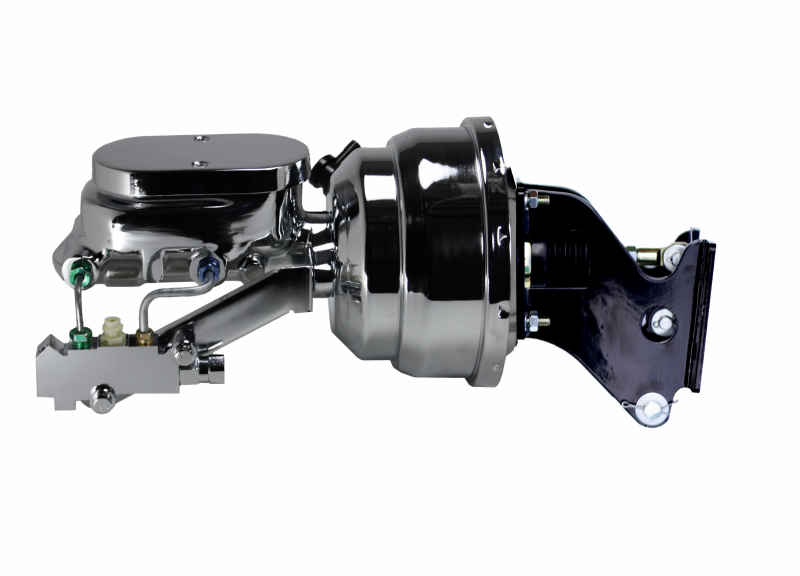 New 8" Dual Diaphragm chrome plated power brake booster, master cylinder & 4 wheel disc proportioning valve combo. 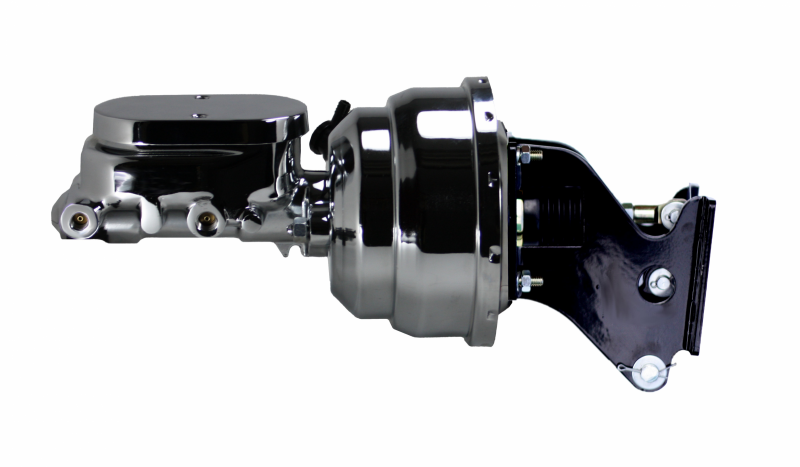 This 8" power booster is hand polished before a chrome finish is applied for a top quality finish. The black powder coated mount and pushrod assembly is a direct fit to your factory firewall for that fresh factory look. 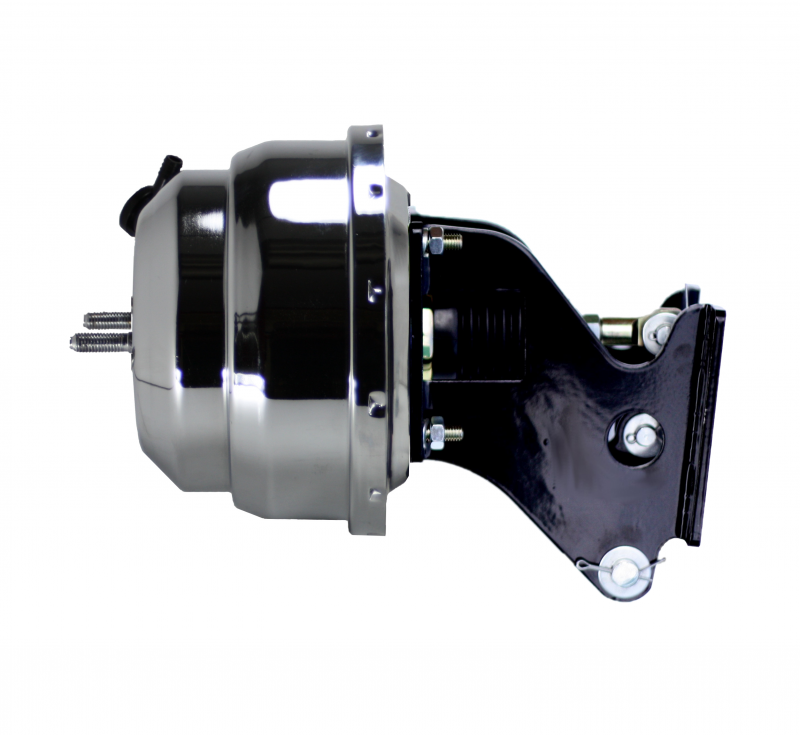 Also included in this kits is a new chrome 1-1/8" bore flat top master cylinder and proportioning valve equipped to work with 4 wheel disc brake applications.